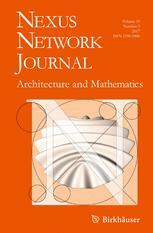 "Shell and Tension Structures: Sturcture, Aesthetics, and Mathematics"
Cover: Computer model of a corrugated shell. Courtesy of Samar Malek and Chris J. K. Williams, 2017. "Manifestations of Geometry in Architecture"